Meituan the new number 1, Chengdu Hot-pot even hotter. November 2011 brings a new leader in terms of revenue. Meituan has been a constant in the top 5 and has taken the no. 1 position in Total revenue and Total number sold. Our report as usual will give you an overview of what’s going in the Groupbuying Market in China. This time we prepared also 2 Specials. 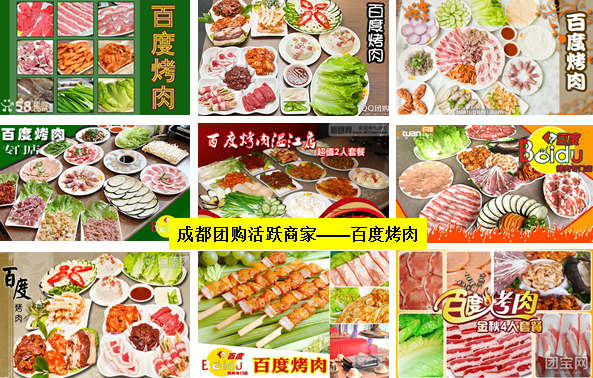 We dig deeper in the Meituan data and we have a look at restaurants that offered daily deals in Chengdu. Meituan is the new number 1. The number of deals keeps increasing, nothing new there, but November is the first month that the average revenue per deal stopped dropping. The average number sold per deal has also stablized. Juhuasuan and Didatuan got in to top 10 deal sites ranking the first time. 24quan and Ganji left the top 10. As one of the first Group-buying sites in China, Meituan has always been focused on local service deals. We used our Deal Website Analytics Tool to look deeper into what made Meituan get to their current position. Besides being the new number 1 in revenue, each month Meituan has been taken a bigger percentage of the top deals. It has the most top deals since Oct. 2011, which is sign of their deal quality. And it doesn’t stop there. Meituan’s average revenue per deal is much higher than the overall average revenue per deal. While in general the average revenue (per deal) keeps dropping, Meituan’s average revenue continues growing since August. Looking into their pricing strategy, the interesting findings are that the average price of Meituan deals is significantly lower than the total level, meanwhile Meituan is lowering the average discount slowly but steadily. Chengdu is known for its good food. It is the first Asian city to win a UNESCO listing as a City of Gastronomy. We used our Merchants Analytics Tool to analyze the restaurant merchants and their deals in Chengdu to see what would pop up. On the one hand you have merchants that launched deals frequently, resulting in a very average number sold and revenue. It doesn’t seem they made a lot of effort in packaging a top deal. For them group-buying seems like just another sales channel/advertising channel. On the other hand you have the merchants that focus on the deal quality. They launch occasionally a deal but with more success (revenue). Not surprisingly the percentage of Hot Pot Deals is much higher than in other cities. Additionally, as expected, both merchants’ reputation and big deal sites played a role in the best sold deals. For the full November 2011 report including the latest updates about Dataotuan.com, please see hereunder.